Modern military communications systems based on software defined radios (SDR) utilize time-critical complex waveforms that can have extremely short synchronization sequences like those in the frequency hopping waveforms of R&S®SECOS. In addition, wideband frequency hopping schemes are employed as electronic protective measures (EPM) to prevent jamming. Such frequency hopping sequences cover frequency bandwidths far beyond 100 MHz with frequency hopping rates of hundreds or even thousands of hops per second. Before secure communications take place, all radio systems involved are synchronized to a master clock. Subsequently, each radio independently follows the same master-defined frequency hopping scheme, relying solely on its internal system clock. The synchronization window for establishing a connection between two radios is very short. Time delays and differences in the time-keeping accuracy of the individual system clocks can become very critical. System clocks are frequently resynchronized with the master clock, which reduces the influence of clock differences. But the radios must always be able to cope with time delays, as well as with the signal characteristics resulting from arbitrary hopping schemes. Airborne radios in particular are subject to extreme conditions. Long distances cause considerable time delays in the transmitted signals. Radio waves propagate at the speed of light, leading to time delays of about 1 ms per 300 km distance between communicating radios. In airborne line of sight (LOS) communications, distances of a few 100 km are typical. In the worst case, a communications link cannot be established. The performance of frequency hopping radio systems under such worst case conditions needs to be verified by radio manufacturers to optimize their designs and by test houses to verify the compliance of a radio with the specification. Usually, test houses rent helicopters, an airfield, antennas and personnel to carry out “real-world” tests, which are very costly and time-consuming. The test results of this conventional approach are influenced and falsified by many known and unknown sources of errors, such as antenna placement and other parameters. 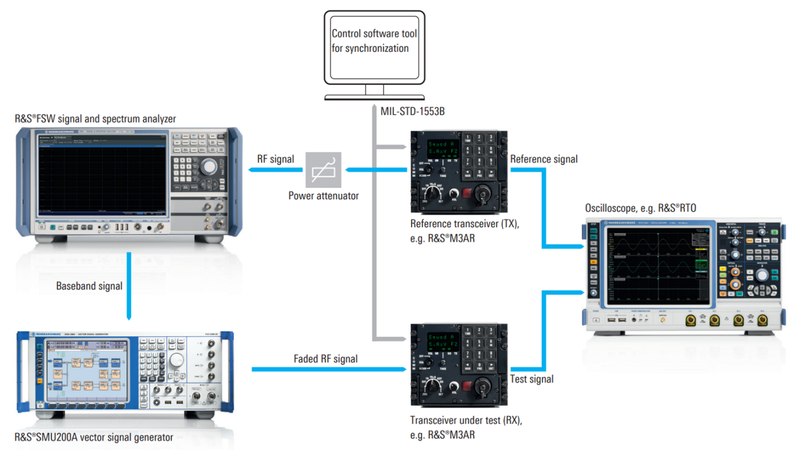 The Rohde & Schwarz test solution for fast frequency hopping radio systems combines versatility and ease of use with timesavings and cost-efficiency. The combination of the R&S®SMU200A vector signal generator with the R&S®FSV or R&S®FSW signal and spectrum analyzer accomplishes real-world test scenarios. 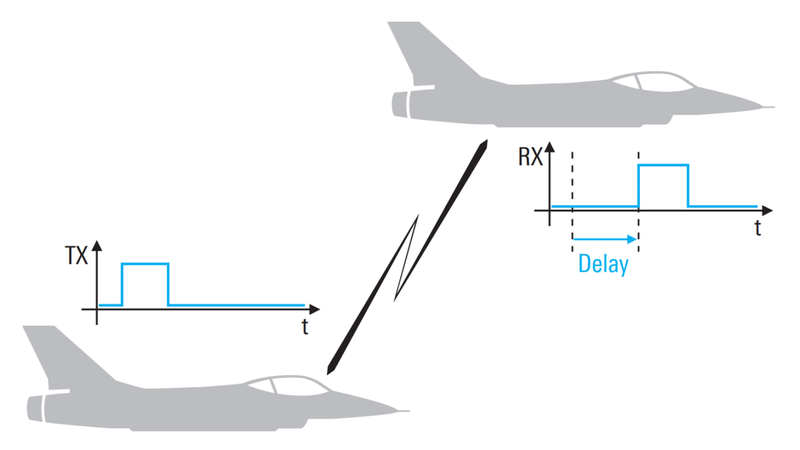 The fading option of the R&S®SMU200A supports various fading scenarios, including static delay time and velocity simulation up to hypersonic speed to simulate a real-world environment in the laboratory. A typical setup for testing compliance with the equipment specifications of a transceiver is illustrated below. 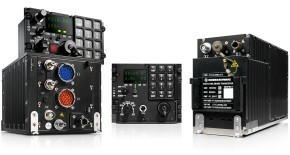 First, the transceiver under test (RX) and a reference transceiver (TX) are synchronized, for example by a control software tool which is connected via MIL-STD-1553B data bus. For the test, the reference transceiver (TX) sends an RF signal to the R&S®FSV/R&S®FSW signal and spectrum analyzer, where it is downconverted to the baseband. 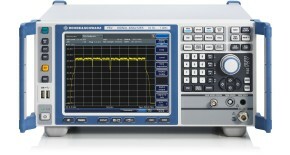 The resulting digital I/Q stream is forwarded in realtime to the R&S®SMU200A vector signal generator. The generator´s internal fading option applies the intended delay, fading and Doppler speed scenario to the signal to simulate a real-world environment. The test signal is upconverted to RF before being passed on to the transceiver under test (RX), which demodulates the signal content. 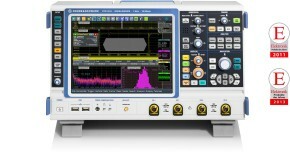 Both the reference signal and the demodulated signal are fed into an oscilloscope, such as the R&S®RTM/RTO, for comparison. By using the fading option of the R&S®SMU200A to apply various “environmental” scenarios, the performance limits of the transceiver under test (RX) are quickly detected. 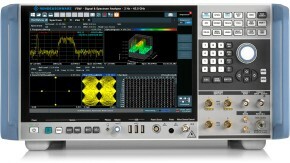 The R&S®FSV and R&S®FSW support realtime streaming up to a signal analysis bandwidth of 160 MHz. 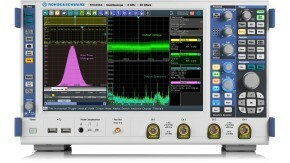 Frequency hopping waveforms exceeding this bandwidth are typically tested by utilizing reduced bandwidth hopping schemes provided by the radio manufacturer. Such a test setup, consisting of the R&S®FSV/R&S®FSW and the R&S®SMU200A, eliminates unknown sources of errors. It enables manufacturers to optimize their radio designs and allows test houses, military radio users and system integrators to verify compliance with international standards and the supplier´s radio specifications based on realistic environmental conditions. Preparing frequency hopping radios in the lab for versatile tasks in real-world missions has never been so easy. 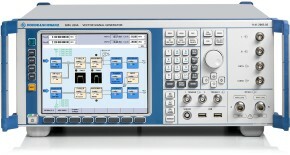 Picture right: Various signal delays are simulated using the R&S®FSV or R&S®FSW signal and spectrum analyzer and the R&S®SMU200A vector signal generator to verify the performance limit of the communications link between the reference transceiver (TX) and the transceiver under test (RX). 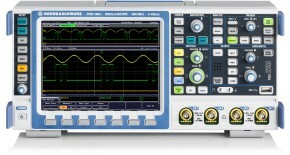 Timing and demodulated signal contents are verified with an oscilloscope such as the R&S®RTM/RTO.